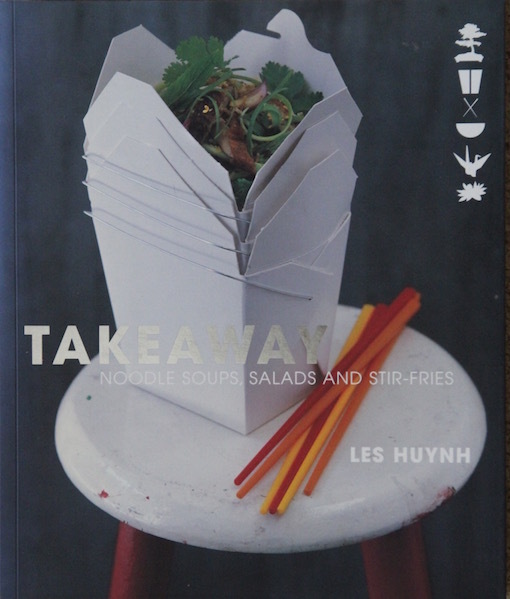 Takeaway: noodle soups, salads and stir-fries, 160pp. This is the second page-32 recipe by Les Huynh that I have made for this blog. The first was mussels with chilli and basil, and that was made almost four years ago. Huynh is a largely self-taught chef with a great passion for food. His eclectic cooking reflects influences from all over Asia, especially the Southeast, and he successfully takes traditional recipes and adapts them with a modern touch. He has worked in the restaurant business for more than 20 years and has established restaurants in Adelaide as well as Blue Ginger and Bar Asia in Sydney. Pages 32–33 have a classic southeast Asian recipe. To make the paste, discard the seeds and stems from the dried chillies, then soak in hot water for 10 minutes. Drain, then roughly chop. Put the chilli into a food processor with the onion, garlic and lemon grass and add a little of the oil to help blend the mixture into a smooth paste. Heat 3 tablespoons oil in a saucepan over medium-high heat. Add the paste and stir-fry for about 2 minutes, stirring constantly until fragrant. Add the remaining paste ingredients and stir-fry for 1–2 minutes. Toss in the chicken and stir-fry for a further 2 minutes. Add the prawns, 1.5 litres (52 fl oz/6 cups) water, the coconut milk, yellow bean paste, fish sauce and curry leaves and bring to the boil, then reduce to a simmer. Add the salt, sugar and tofu puffs. 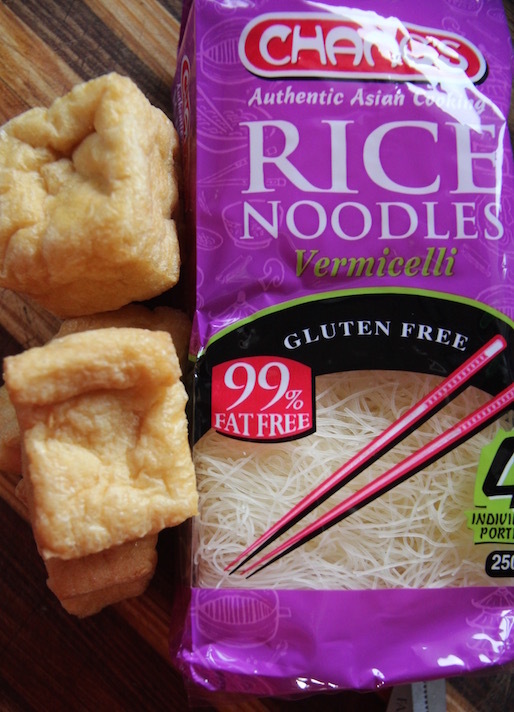 Place the vermicelli noodles in a bowl, cover with boiling water and soak for 5–7 minutes, or until softened. Drain well. To serve, put the noodles into individual bowls and top with the bean sprouts and cucumber. Ladle the hot soup over the noodles and sprinkle with mint and fried shallots. 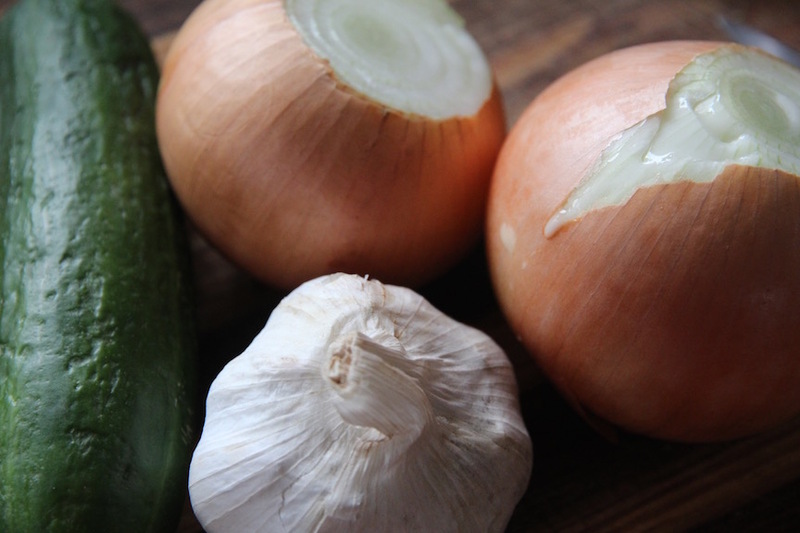 Offer a small bowl of sambal oelek or chopped chillies alongside and serve with lime wedges for squeezing over the soup. 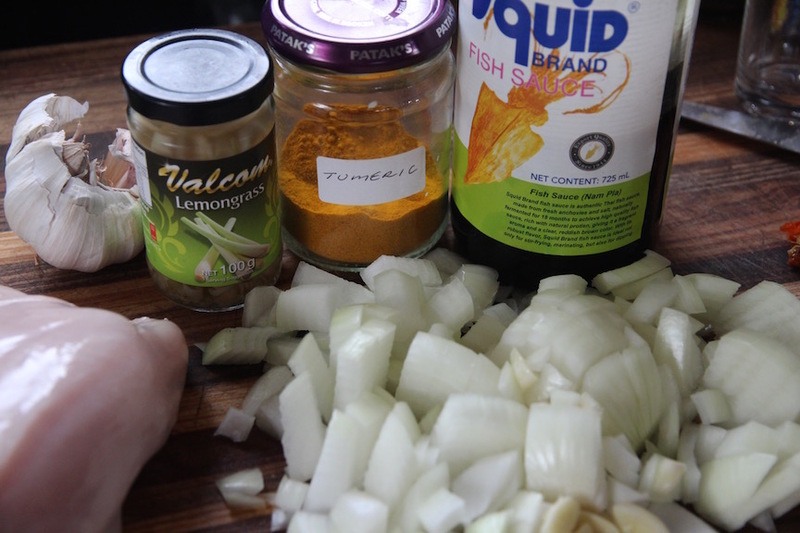 We love laksa, so I was keen to try out this recipe. 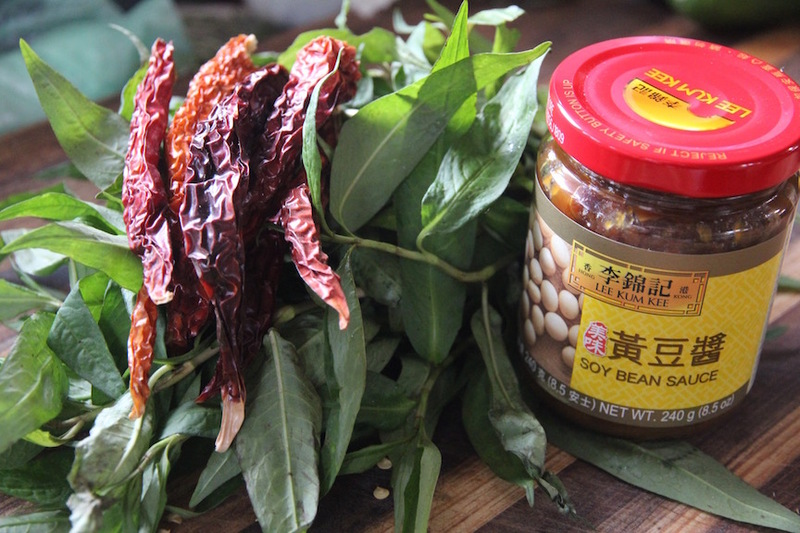 The first task was to buy yellow bean paste, sambal oelek and Vietnamese mint. So off I went to a nearby Asian shop. The first two were easy to find, but I picked up three or four bunches of greens and waved them at the shopkeeper before she said I’d found the right thing. Of course, not long after I made this, I found the other bottle of sambal oelek I already had in the cupboard. My only changes were to use bottled lemongrass (on hand and needing to be used up) and to reverse the amounts of chicken and prawns (shrimp). I had lots of chicken on hand and not many prawns. I followed everything else. Even though it has a long list of ingredients, laksa is quite straightforward to make. This made a lovely laksa. It’s certainly not the best one I’ve ever had, but we’ve travelled extensively in Southeast Asia and have had the chance to sample many of the best. I wouldn’t expect to be able to match those recipes in a home kitchen. I made a Korean soup recipe today. It’s not a page 32, but it was something I wanted to make after buying a huge bargain bag of pork bones for $1. Wanting to follow the online recipe, I went to an Asian grocery but they didn’t have any of the Korean ingredients I needed. Not to worry. I used a range of reasonable substitutes, including white wine for Chinese cooking wine, and the whole dish turned out just fine. It was a great reminder that we can make-do most of the time. When you’re stumped by a recipe or ingredient, try searching online for substitutions and then use your imagination and what you might have in the cupboard. I always think of laksa as a Malaysian recipe. I certainly ate plenty when we were there. It also reminds me of the entertaining Murder Mystery Night we had in Kuala Lumpur. 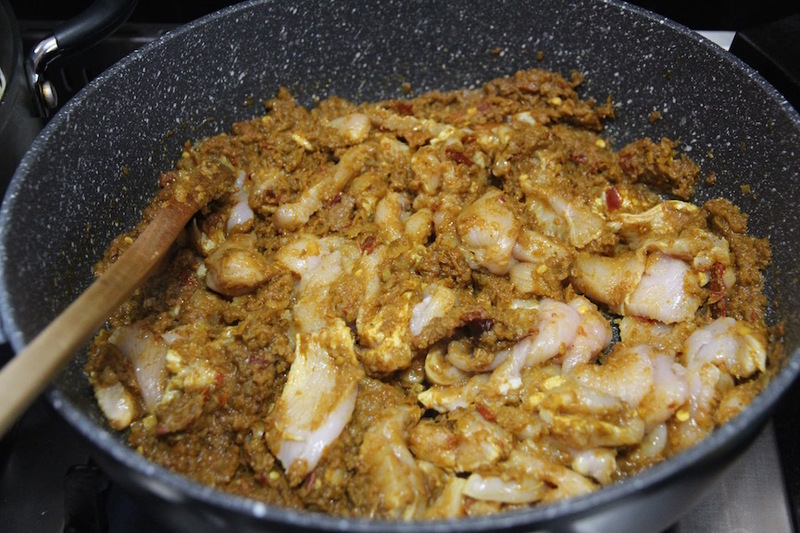 This entry was posted in Fish and seafood, Main dish, Stew/soup and tagged bean sprouts, chicken, chillies, cloves, coconut milk, cucumber, curry leaves, curry powder, fish sauce, garlic, lemongrass, lime, mint, onions, prawns, sambal oelek, shallots, shrimp paste, shrimps, sugar, tofu, turmeric, vermicelli, yellow bean paste. Bookmark the permalink. I haven’t had Curry Laksa for years. I lived with a Malaysian born Chinese family for 2 years and they introduced me to it, (in fact there’s a chance you would know this family, but I can’t say who, online). 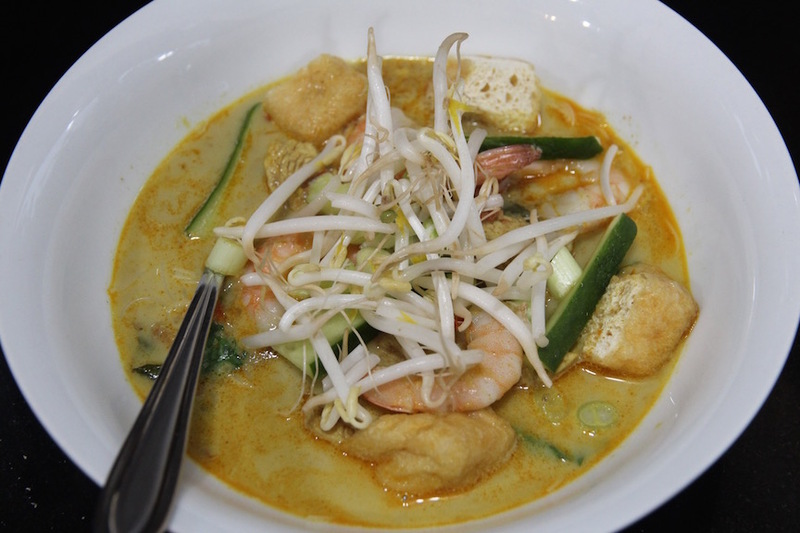 All I can say is……………..Curry Laksa…………….Yummy! We love laksa and it really is quite easy to make. I’ll have to try making it myself. You can make it even easier if you use bottled laksa paste. Curry laksa – sounds like a Sanjit Ray film! Oh well, food or film, it would be a treat. It’s a wonderful treat. Probably hard to find all the ingredients where you live. Sounds delicious but way past my limit my 5 ingredients limit! I’m kinda with Catnip – way past my five minute prep limit – but it does sound divine! If only I could squeeze a taste out of this computer. Luckily, there are plenty of easier, faster ways to make laksa. You know I had to make this Asian recipe, it was wonderful. I had many of the ingredients, but did substitute lemon juice for lemon grass, no curry leaves, fried cubes of tofu instead of puffed tofu and had a bottle of fish sauce and added a little more since I did not have shrimp paste. The cucumbers (cubed) were an excellent addition to this recipe. Next time I will add more paste ingredients and make the soup a little more spicy. Even though it took a long time to prepare the ingredients and cooking, It is one of my favorite P32 recipes! Thanks for posting. Hi Sy, so pleased you made the recipe and commented on it. I’ll post your pic soon, but I have been very side-tracked recently. I like the idea to add cucumbers. Off to bed now.